Niche's mission is simple: Build rad boards that are environmentally friendly. 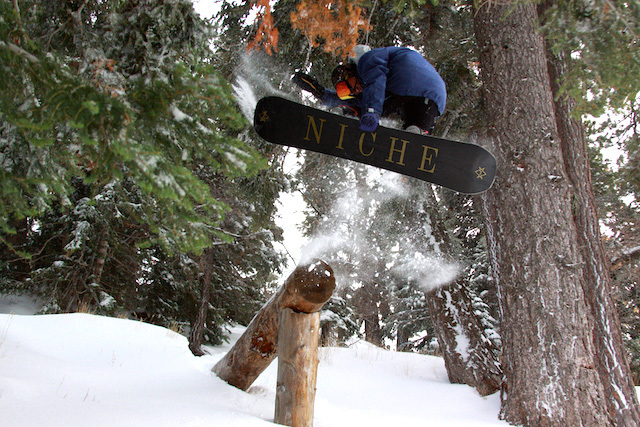 Niche Snowboards photo. Based in Salt Lake City, with manufacturing out of Austria, Niche Snowboards focuses on eco-friendly snowboard production without sacrificing a high-quality product. We had a chance to sit down with Ana Van Pelt recently at the Jackson Hole PowWow for a more in-depth look at what sets this company apart. TGR: Where did the idea to start Niche come from? AVP: When we started, both Kirsten Kolter and I were working for a non-profit and on different environmental projects while also being passionate snowboarders. An opportunity arose for us to pitch to an investor, and after brainstorming on what made the most sense to pitch, we kept circling back to the question of what is missing in the snowboard industry? We honed in on the fact that no one was addressing the reality that snowboard manufacturing is super toxic. From there we looked to tackle the problem, put together a business plan along with Todd Robertson, and from day one it has always been about trying to be the most sustainable snowboard company possible. There are hardgood companies who claim to make environmentally friendly products, how are you different? We don’t just make one board, or one product with sustainable materials or environmentally friendly manufacturing: our entire line is based around it. . We have actual, quantifiable life-cycle assessments to measure some of the impacts we are having on the planet with some of our materials and supply chains, and we are also the first snowboard company to develop the world’s first completely zero-waste, fully recyclable snowboards. What are the challenges of being a sustainable and environmentally friendly manufacturer in the current market place? Well, in the beginning it was pretty difficult because initially it seemed the market didn’t care about [environmental manufacturing] that much to be honest. 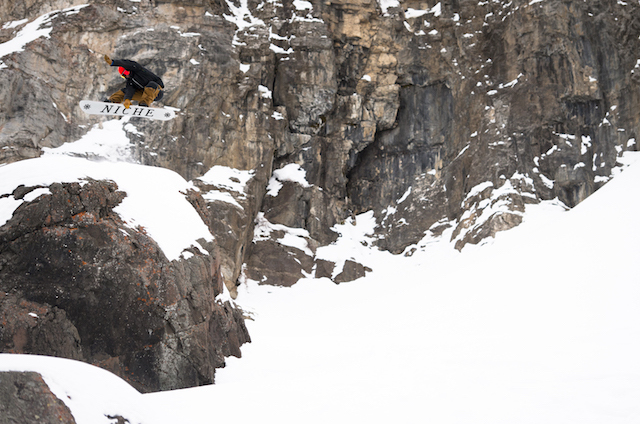 Niche boards can handle everything from rails to the pow stashes of Mammoth Mountain. Niche Snowboards photo. However, now it feels like a massive advantage because we see more and more people searching for these types of products. The more we can continue to push and innovate, the more it will remain a competitive advantage for us moving forward. The challenge honestly, is the need to keep pushing forward and innovating as much as we can. Can you outline some of the tactics and processes you utilize in your manufacturing? First, we produce at The Mothership in Austria where we source 98 percent of the raw materials locally from the factory itself. With increased consumer consciousness about supporting sustainable brands, Niche has seen an increase in attention on their boards. 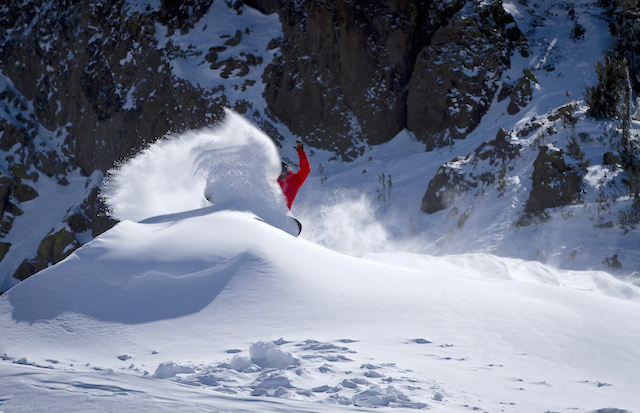 Niche Snowboards photo. The factory is 100 percent hydro-powered with no CO2 emissions. To outline the differences in our boards top to bottom-we don’t use any lacquer on the topsheets; instead we do a direct digital print with all water-based, solvent-free inks. We use bio resins instead of traditional resins, basalt or flax fiber instead of carbon fiber and all-sustainable wood cores with recycled bases, edges and sidewalls. Looking at your boards one thing immediately jumps out: the topsheets. Can you talk about the inspiration behind the art for this year? So, every season, I have an overarching graphic theme–last year was unexplored worlds and there’s been dark forest and other themes. This year, we got mildly political in a way, where each board is tied to some kind of social, environmental or political issue. So, there’s one with extinct animals because we’re currently undergoing one of the largest mass extinction events in history–it’s kind of alarming. There’s one with coral reef, that was made using really old-world printing techniques like etching and mono-printing and that one focuses on the issue of coral bleaching. Then there’s one with narwhals on it, since their habitat is being affected by the glaciers melting and one with a beautiful forest microcosm because deforestation is an even larger problem than I had any idea about. We also have one that is a map of Utah to highlight the struggle over Bears Ears National Monument, but it’s subtle and mostly meant to show what makes Utah special by way of parks and public lands. We finish it out with one graphic that is the futures of phoenix, because you have to be hopeful that you can rise from the ashes and it can’t all be dark and sad. Everything was designed to be very fact forward, as in, “Here are the facts, no matter what political spectrum you lie within, these are things you can’t ignore.” It’s a small push to open up a conversation on these issues. What is one takeaway you want to pass on to someone looking to buy a new board this season? Your choices do matter. Every purchase you make you are voting with your dollars. By supporting brands you believe in–if you want to affect change–you can. But you need to put your money where your mouth is. Consumers have the biggest power of all and they don’t always realize it.